During this Designer Deep Dive, we speak with Ignacy Trzewiczek about his upcoming title, Detective: A Modern Crime Board Game. Detective is a story based mystery game that integrates technology and real world on-line elements to create an immersive game play experience. We talk to Ignacy about his creation of this innovative title and the challenges associated with create a game that expands the bounds of traditional game play. To learn more about Detective: A Modern Crime Board Game, click here. To check out Detective: A Modern Crime Board Game’s BGG page, click here. To buy Detective: A Modern Crime Board Game, click here. 1) The guys discuss some of their recent game plays and game news including discussion of their differing views on kickstarter exclusives. 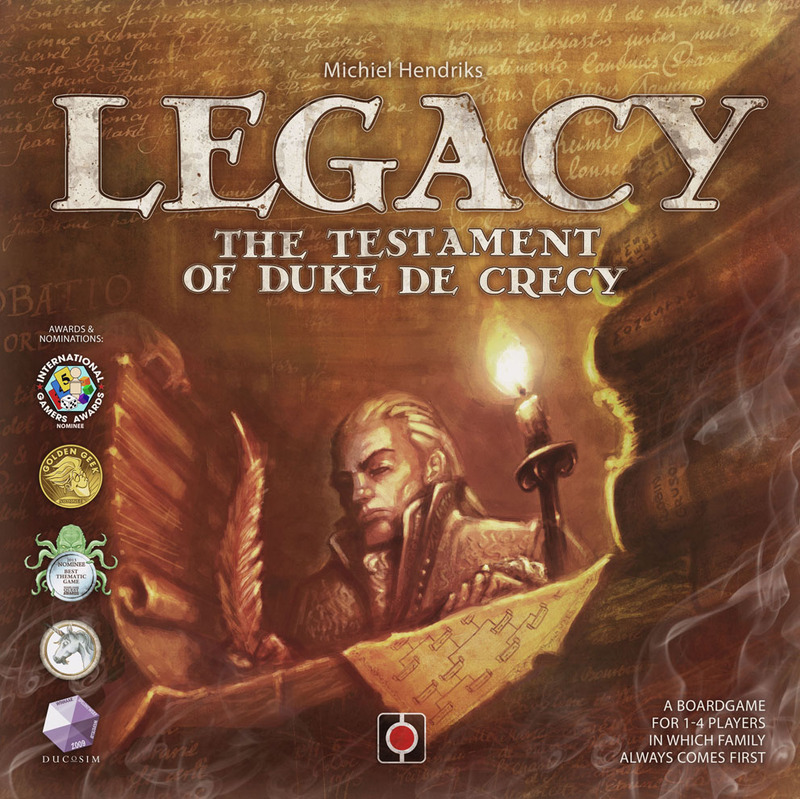 2) All of the Pegs review Portal Games action selection game Legacy: The Testament of Duke de Crecy. 3) All of the Pegs share their favorite game related trivia in our first Wisdom Check segment.